EY today launched its first China "wavespace" flagship center in Shanghai to help startups embrace innovation and seek new business growth by combining new digital technologies. 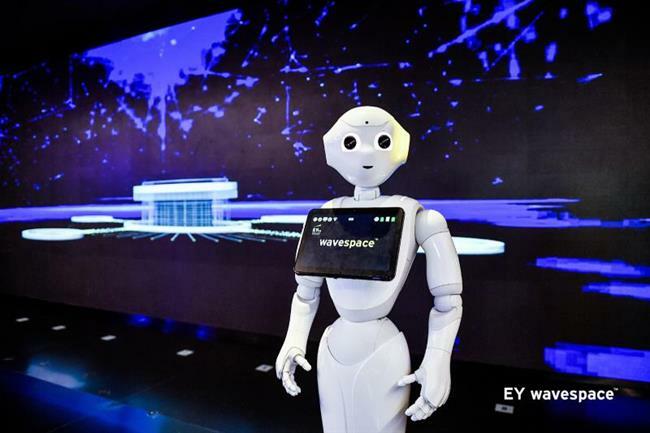 EY on Tuesday launched its first China "wavespace" flagship center in the Shanghai World Financial Center to help local startups embrace innovation and to seek new business growth by combining new digital technologies. The Shanghai center is the 15th for EY globally, and three more will be unveiled in the second half of this year, joining its connected global network of growth and innovation centers. EY intends to leverage its global knowledge to lower costs for enterprises by using external resources while improving efficiency. It provides devices such as VR gadgets, cloud computing facilities and Internet of Things trial solutions for startups, as well as external collaboration opportunities with industry players and investment institutions. Benson Ng, EY China Digital Advisory and Shanghai "wavespace" leader, said the multi-functional space concept of EY Shanghai "wavespace" includes a design studio and an incubator which will specialize in emerging technologies such as artificial intelligence, Blockchain and the Internet of Things (IoT). The Shanghai government has been committed to developing Shanghai into an innovative city as part of the 13th Five-Year Plan on science, technology and innovation. Various new business models have sprung up and a number of incubation platforms from both the public and private sectors have been set up to facilitate the translation of technology research outcomes into practice.